Because I have received inquiries concerning my Dibble lineage, I have decided to set forth below the information which I have about my direct family line. If you can assist me with any dates, names, etc., I would greatly appreciate it. 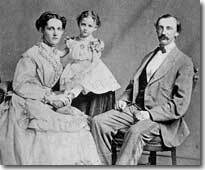 Samuel, Mary Louis, and Frances Agnes Dibble.